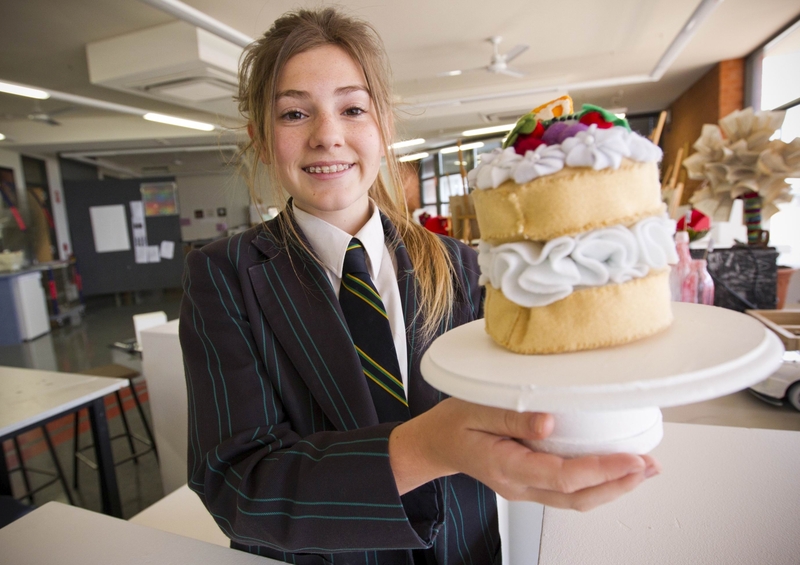 Year 8 student Brooke Taylor with her artwork. Peter Moyes Anglican Community School will hold its Through my Eyes exhibition of work created by 220 middle school and 33 senior school students in the Allan Shaw Centre undercroft on Salerno Drive. The exhibition opened yesterday and runs until Friday, September 19, between 8am and 9am, then 2.30pm and 3.30pm daily.